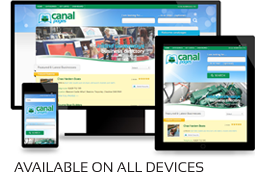 Canal Pages is an independent directory of inland waterways businesses, run by boaters for boaters and the inland waterways community. Each business listed has its own page, with visitors being able to search and find the service, product or professional they need quickly and easily. We have added a large number of pages for businesses ourselves, and will continue to do so over time. These pages can be claimed by the business owner, or if a business has yet to be listed, they can add a new page themselves. Both these services are completely free – and will always remain so.